The Mod Converter for Mac is designed to convert MOD source files from camcorders directly to MP4, AVI, FLV, MOV, WMV, VOB, MPEG and so on for online, iOS/Android devices as well as to portable player. Moreover, this Mac Mod Converter can change MOD, TOD to HD videos like HD MP4, etc. or to other popular audio formats like MP3. 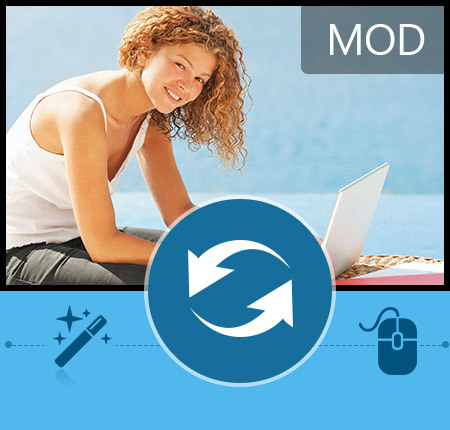 Why choose Tipard Mod Converter for Mac? Tipard MP4 Video Converter is designed not only for converting all videos to MP4 formats but also editing the videos on Windows 10/8/7/xp. It is especially easy for new users, and the process of converting can be finished just by few clicks. 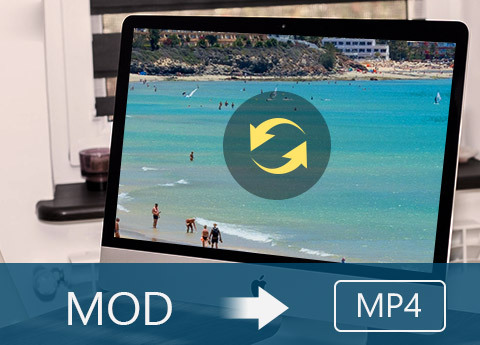 It is professional Mod Converter for Mac to convert any Mod file recorded by HD camcorders like JVC, Panasonic, Canon, Sony to all popular video/audio formats for Mac. You can translate mod to MP4, MPEG, MPG, MPV, VOB, WMV, MOV, MKV, AVI, FLV, MPEG-1, MPEG-2, etc. Or convert mod video file to music/audio formats like MP3, WMA, AAC, OGG, WAV, and M4A. For better video enjoyment, it highly support converting HD videos like HD MP4, HD FLV, HD AVI, HD TS, HD MTS, HD M2TS and more. For watching mod file anytime and anywhere, you can convert Mod, TOD to almost portable players and devices with this MOD Video Converter with ease. It can help you export and put your converted mod video on iPhone XS/XS Max/XR/X/8/7/6/5s/5, iPad Pro/Air/mini, iPod, Samsung, HTC, LG, Windows phone, Android tablets, Sansa, Sony Walkman, Creative Zen, Apple TV, Nokia, PSP, Zune, etc. You can own different style videos made by yourself with this mod video editor. Adjust video effects - Adjust the video Brightness, Contrast, Saturation to better and special effects, even check Deinterlacing to upgrade your video effect by converting interlaced video into a non-interlaced form Trim your video clips - Clip any segments of your video by setting the exact start and end time or just drag the slide bar. Crop the play region of video - Adjust the playing region of the mod movies to fit for your player and favor with this Mod Converter for Mac. Merge several chapters of video into one file - With several mod files merged into one file for output, you'll enjoy a single long movie with a single click. Cool watermarks provided for you - You can add pictures or texts to your video as own preference. Free adjust settings to help you get the customized video perfectly such as outputting multiple formats for one video at the same time. This Mac Mod Converter can output different formats for one video simultaneously, which brings great convenience and make the conversion faster and easier to save much time. 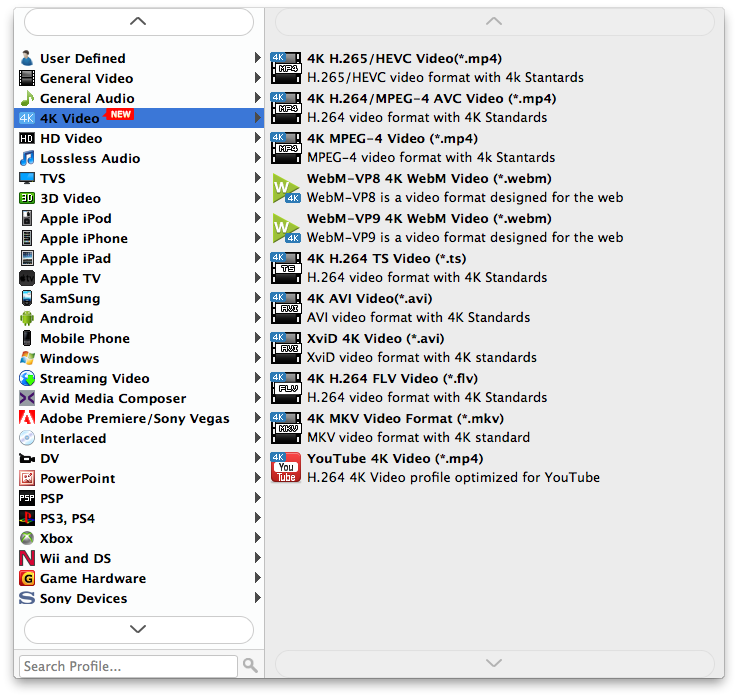 Personalized profile - Within the Mac Mod video Converter, classified and powerful profile is sorted by devices and video formats, and it would be convenient to you to select what you need or output your needed video directly, and any customized profile or settings can be saved as user-defined profile. It can accomplish the mod converting task fast and conveniently. The Mac Mod Converter provides you with various subtitles and audio tracks. 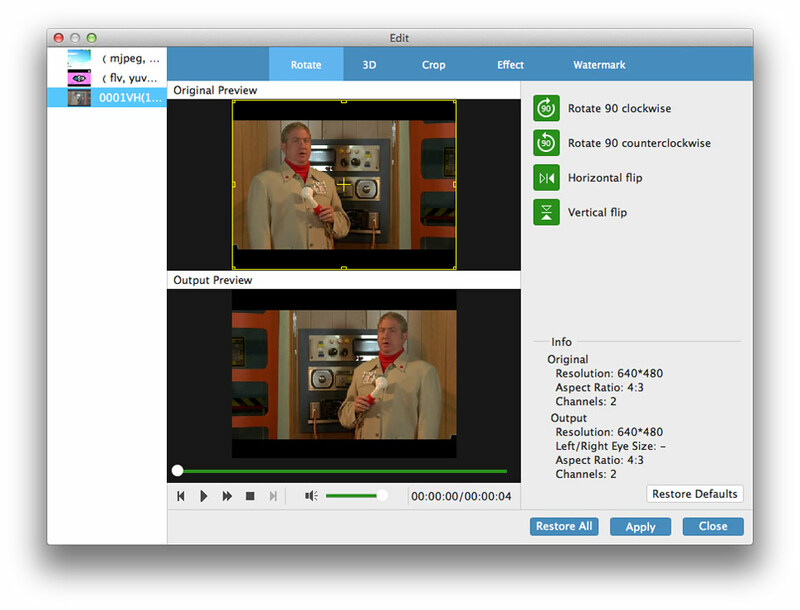 It allows you to play and preview the original and output video effect simultaneously and capture the pictures as you favor. With providing the fastest conversion speed, this MOD Converter for Mac presents you a user-friendly interface. Christina:Mac Mod Converter really assists me to convert videos with overwhelming speed. I record a mod video with my Canon camcorder, but I need to play it on QuickTime for enjoying with my friends. With this Mod Converting app, I export a mod movie to mov format with ease. It’s great. Anna: Please notice me if you develop new programs or added new functions. I would like to have a try. Because I really like this mod converter, it helps me convert mod video to mp4, wmv, mkv and more formats for better use. It totally helps me a lot. Lisa: I want to play a mod video on my iPhone. I download and use this mod video converter for a long time. It can directly convert mod to iPhone format. And I can also free edit my mod file effect easily. In a word, I like it, and extremely recommend to you. Convert both DVD and video to iPhone optimized video format and convert DVD/video to 3D format. Rip DVD disc, folder, iso files to 2D/3D video formats and set 2D/3D video editing at your preference. 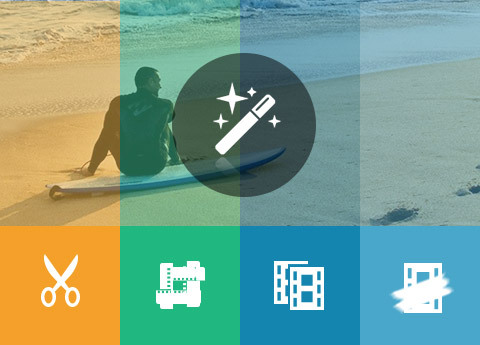 Convert any 2D video to popular 2D/3D video format and adjust 2D/3D video effects, etc.